Turn your dream vacation into reality when you stay with us at Perdido Towers in sunny Perdido Key, Florida! This amazing destination is nestled upon the pristine beaches of the Gulf Coast, just over the Florida/Alabama state line. With amazing amenities, cozy accommodations, and direct access to the white-quartz sands and aquamarine waters of the Gulf of Mexico you're sure to enjoy the vacation of a lifetime! Perdido Towers boasts an array of family-friendly amenities, including a sparkling beachfront pool and hot tub. Spend a lazy afternoon laying by the pool and soaking up the Florida sun, or enjoy the breathtaking scenery from the comfort of your beachfront balcony. For those who prefer to stay active while vacationing, take advantage of our exercise facility and lighted tennis courts. Enjoy fishing, both on the beach and in a protected setting on the Intercostal waterway. Or simply indulge in a leisurely sunset stroll along the shoreline while the warm gulf waters lap over your feet and the sun sinks below the horizon. Take the kids sand crabbing after dark to make memories that will last a lifetime (just be sure to employ the catch and release method! ;) The possibilities are truly endless at Perdido Towers! Ranked by Condé Nast Traveler as one of the top 5 swimming beaches in the country, Perdido Key is nestled amidst the pristine shores of Florida's Emerald Coast, and is rapidly becoming a favorite vacation destination for those who want to relax and enjoy the tranquility of coastal living without the congestion and commercialism found in most Florida destinations. The Key offers an abundance of recreation and activities including fantastic restaurants, championship golf courses, water sports and lovely shops and boutiques. The Pensacola Naval Air Station is a short 15 minute drive from Perdido Key, and is a great place to take the family! A 10 minute drive west will take you to Orange Beach, which hosts tons of restaurants and shopping, a Rave movie theater and a 10,000 seat outdoor amphitheater where some of the biggest names in music perform year round. You will also enjoy the services of a local liaison that will see to your every need throughout your stay. Luxury Coastal Vacations is the premier rental agency in Perdido Key, offering you luxury extras like fine linens, plush 100% cotton oversize monogrammed bath towels, and deluxe bath amenities. 24 hour local support is available to make sure your stay is absolutely perfect and stress-free! If you demand luxury, comfort and upscale amenities, Perdido Towers will exceed your expectations. Book with us today and experience the vacation of a lifetime! 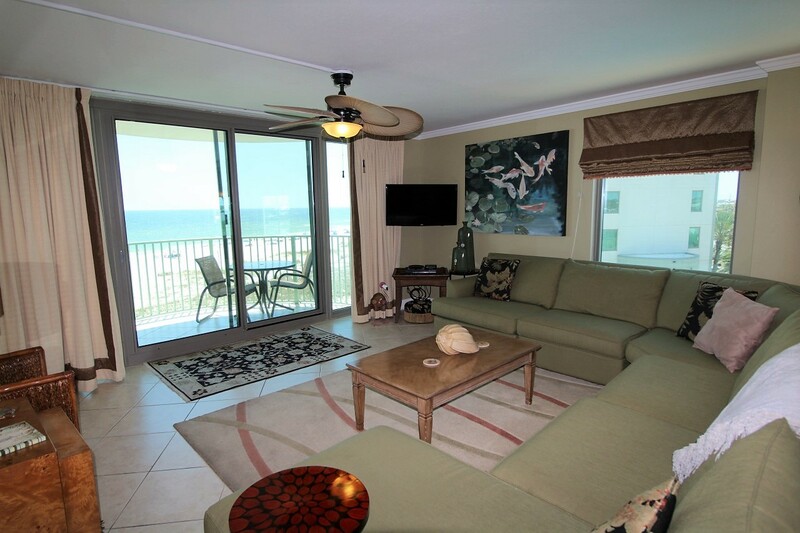 Perdido Towers features 2-3 bedroom vacation rental condos that sleep up to 8 people.